Campingplass Altomira er en campingplass i Navajas, Castellón. Denne terrassecampingplassen har steder med avgrensning, med skygge, uten skygge og plasser med noe skygge. Det er mulig å leie hytter. Campingplassen har lekeplass og idrettsplass. For sportslige feriegjester arrangerer campingplassen utflukter, fotturer med guide og ulike sykkelturer. Det er underholdningsprogram. Campingplassen har utendørs svømmebasseng og barnebasseng. Denne inspektøren besøker hvert år Campingplass Altomira og inspiserer campingplassen for ca. 200 fasiliteter og for andre punkt som forekommer. Inspektøren er en medarbeider fra ACSI og arbeider ikke for campingplassen. planed to stay a couple of nights but loved it here and stayed 6. refurbed touring pitches with services including own sink. toilet block heated and hot showers. bar/rest very good and excellent food. 3 course menu in week. Navajas small town 10 min walk as is train to Valencia. great cycle opportunities on quiet roads or old railway cycle route at back of campsite that runs for miles. pool looks good but not open yet. Though only 2 km from the A23 motorway, the terraced campsite sits on a steep hillside, which makes access very difficult. The lower area, by the reception and restaurant, is taken up with static vans. Tourers must climb a steep twisting drive with tight bends, quite dangerous for larger motorhomes and caravans, to the upper levels. Here the pitches are mostly small with awkward access and steep curbs to catch the exhaust pipe! Our 7-metre motorhome would only fit on a couple of the places, and a caravan would need a mover. The toilet and shower facilities are clean and heated, with good hot water, though the wash-up sinks are outdoors, right next to the chemical WC drain. WiFi is available for a price on the pitches, or free of charge down at the bar/restaurant, where we had an excellent Menu del Dia set meal. Navajas village is a 1-km downhill walk away, but nothing was open. There is access to a former railway line, now a Via Verde path for cycling, walking and horse-riding, that passes above the campsite. This would be good at a warmer time of year! The Receptionist was welcoming and spoke English, the winter rate is good, but the site is only suitable for small campervans driven by fit athletic campers. Our second stay at this campsite, which is easy to find and very close to A23 road. Good, inexpensive bar with a friendly staff. Close to town, which is pretty and shabby in equal parts. Clean, efficient showers and facilities. Good shade and clean pitches. Steep hill up to ppitches. We disagree with many reviews. We found the wc/shower block at the top of the site very poor... and the other 2 blocks little better. The staff are super. The only pitch available to us had a huge kerb at one end and was very difficult to access. We had contacted the site in advance, and were advised there was no need to book as there would be plenty of availability, but the site was quite full. We had intended staying 5 night but moved north the next day. This site is very steep as you enter, we were pitched near the top of the site which has approx. 1 in 7/8 gradient. Reception was helpful, pitch terraced and gravel/sand, with water and electric, toilets/showers were good and clean, café/bar was nice and not over priced. The village in the valley was very quaint real old Spain. The only real problem with this site is how steep it is getting on and of the site. If you use a wheel chair, walking sticks/frame or mobility scooter please do your homework on this site. Yet another great site, the staff a the location on a via verde is perfect well worth a visit. The views from the pitch could be charged extra for! Vil du booke Campingplass Altomira eller få mer informasjon? Det går bra med opplysningene nedenfor. 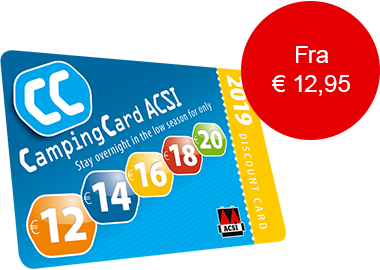 ACSI Eurocampings sender din forespørsel til "Campingplass Altomira".